Australia’s restaurants are benefitting from delivery services like UberEATS and Foodora new research by IBISWorld has found. According to IBISWorld, delivery services are contributing to a 2 per cent revenue increase in 2017-18 within Australia’s restaurant industry. 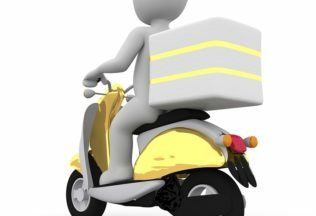 IBISWorld Senior Industry Analyst, Bao Vuong, said the food delivery sector has received a boost from consumers’ changing lifestyles, including becoming busier and taking on larger workloads. “These social trends have helped boost demand for food delivery services, as time-poor consumers look to cut down on cooking time and make better use of their spare time,” said Vuong. IBISWorld estimates the four big Australian delivery players – UberEATS, Deliveroo, Menulog and Foodora – have a market share of more than 75 per cent in new ordering and delivery platforms. Vuong said the emergence of delivery platforms were changing the way that restaurants in Australia operate with some restaurants even opening solely to provide delivered foods only. “By opening a pop-up store with just a commercial kitchen and no seating, operators can maximise floor space, save money on rent and fit out expenses, and improve profit margins,” said Vuong. IBISWorld said Australia’s fast food industry was yet to benefit from the delivery boom, although this is starting to change. “As a result of a slow response and lukewarm reception to new ordering and delivery methods, revenue for the Fast Food Services industry is only forecast to grow by 1.2% in the current year, to reach $19.5 billion,” Vuong said. Although some restaurants may be changing to cater to delivery, others, especially fine dining restaurants, are now focusing on providing unique dining experiences in order to bring customers in for seated meals. “Small tweaks such as improved customer service and enhanced ambience through lighting and increased customer interaction with chefs can go a long way towards combating these apps,” Vuong said.